Although the calendar year is changing, you can expect to see some of the same goals from MOAA's advocacy team year over year. The split political power between the two houses promises to bring new challenges and opportunities. Those cannot be addressed until the new Congress is sworn in and committee assignments have been finalized. However, a first step in any new congressional session is to reintroduce legislation that was not passed in the previous legislative cycle. MOAA's national and grassroots supporters will work directly with members of Congress to ensure our interests are properly represented by proposed and reintroduced legislation. For more about MOAA's legislative advocacy mission, including how you can make your voice heard, click here. For membership information, click here. Background: Access to quality care is paramount for all beneficiaries in TRICARE programs and VA Community Networks - regardless of location. Access has been enhanced by technology, such as the DoD-VA Electronic Health Record and the expansion of telehealth capabilities. MOAA's Stance: Savings gained from reforms should benefit the health care system and beneficiaries. Military treatment facilities (MTFs) remain instrumental to an operational medical force, which is necessary to support a military ready force, and should continue to support beneficiary care to sustain medical training platforms. Actions: Strengthen our partnership with Defense Health Agency (DHA) working groups and executive sessions. Engage The Military Coalition's Healthcare Committee. Continue to administer and drive results of MOAA's health care surveys. Closely monitor the new role DHA has for oversight of MTFs. Background: The Congressional Budget Office (CBO) recently introduced, as a potential option, TRICARE for Life enrollment fees and minimum out-of-pocket requirements as ways the federal budget could escape red ink. Independent of the CBO report (PDF), DoD and Congress have stated retiree health care costs are spiraling out of control, and beneficiaries do not pay enough for their health care. Based on DoD's own data, MOAA knows this is not true - the difference is attributable to rising institutional and readiness costs. Despite that, the report and the ongoing budget pressure have turned TRICARE For Life into a potential target for fee increases to offset readiness or other programs. MOAA's Stance: Military retirees, through their service and sacrifice, have paid in full for their TRICARE For Life benefits. Congress - not DoD - should determine appropriate TRICARE fees. Background: A residual 2.6-percent pay-raise gap still exists between servicemembers and private-sector civilians, attributable to three years of pay-raise caps. Political pressure to reduce costs might lead Congress to again cap military pay raises, widening the pay-raise gap between military and civilians. MOAA's Stance: As the cost of labor increases across the nation, so too should the paychecks of our uniformed servicemembers. Adequate pay and allowances - including competitive raises - are key to recruiting and retaining an effective all-volunteer force. This issue affects all currently serving uniformed personnel and their families, and succeeding on this issue has a positive, far-reaching impact. Any pay raise set by the FY2020 National Defense Authorization Act (NDAA) must match the Employment Cost Index (ECI) increase of 3.1 percent -- anything lower will make the pay gap wider. Actions: Maintain continuous, unified messaging to legislators and service leadership, advising annual military pay raises approved by Congress correlate with ECI to help overcome damage done by the three recent pay caps (2014-2016). Coordinate with The Military Coalition to address this wide-reaching imperative of support to those in uniform, and seek closure of the 2.6-percent gap as soon as feasible. Background: Other components of compensation are equally essential to recruiting and retaining the all-volunteer force. Political pressure to reduce costs could encourage Congress to reconsider the calculations for the basic allowance for housing (BAH), as it has done in recent years. First was an attempt to do away with BAH for dual-military families. The following year, Congress attempted to do away with the with-dependent rate BAH for those dual-military couples with children. MOAA's Stance: Other pays and allowances are essential to shaping the force with the proper skill sets and experience. As the Blended Retirement System matures, these pays will become even more important to recruiting and retention. Actions: Continue to oppose proposals to reduce compensation or undermine long-term retention. Assess progress of the Quadrennial Review of Military Compensation's review of Regular Military Compensation and potential changes to a salary system. Background: Nearly 67,000 military survivors lose between $900 and $1,500 per month due to the widows tax. The widows tax is the amount of Survivor Benefit Plan (SBP) payment offset by Dependency and Indemnity Compensation (DIC). MOAA's Stance: SBP and DIC are two different payments for two different reasons. The offset should be eliminated, and DIC should be improved to align with other federal survivor benefits. Additionally, survivors' and dependents' educational assistance benefits should be increased. Actions: Ensure legislation is introduced in the 116th Congress to address survivor benefits. Educate legislators, staffers, and other stakeholders about the inequities. Mobilize MOAA members and The Military Coalition to engage and press for legislation to be included in the National Defense Authorization Act (NDAA). Background: Retirees with a 40-percent or lower disability rating and those with a 30-percent or higher disability rating who are forced to retire before completing a full 20-year military career, are prohibited from receiving military retired pay concurrent with VA disability compensation. Political pressure to keep budget costs down has remained the main threat to getting legislation passed to end these financial penalties. MOAA's Stance: All eligible retirees should receive both retirement and disability compensation. Actions: Ensure legislation is introduced in the 116th Congress to address Chapter 61 inequities. Educate legislators and congressional staff about the impact these financial penalties have on some of our most vulnerable retirees. Mobilize our membership and The Military Coalition to engage Capitol Hill. Background: An operational Guard and Reserve is an essential component to the national defense strategy because they make up approximately 38 percent of U.S. uniformed manpower. MOAA's Stance: Achieving pay and benefits parity with active duty forces is vital to recruiting, retaining, and sustaining forces for the Guard and Reserve supporting our nation's defense strategy. Actions: Encourage Congress to advance equal pay and benefits for similar service by the Guard and Reserve relative to active duty troops. Build partnerships with federal agencies, such as the Department of Labor, Employer Support of the Guard and Reserve, and state governors to expand and strengthen employer support for Guard and Reserve members. Appeal to The Military Coalition and its Guard and Reserve Committee to expand influence and reach in all areas affecting pay and benefits issues. Background: Programs developed to support wounded warriors and their families and caregivers since Sept. 11, 2001, continue to be essential to readiness and the war-fighting mission of the future. Veterans who served in past and current wars still struggle to obtain needed benefits due to the lack of congressional action on key issues, particularly toxic exposures and their long-term impacts. The Pentagon has worked to forge collaborative relationships with other government and nongovernment agencies - most significantly the VA. Also evolving is a greater appreciation for the specific differences in health care and support for women veterans. 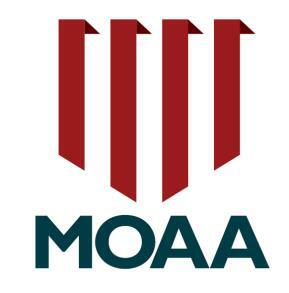 MOAA's Stance: Improving upon this collaboration will require investments in leadership, resources, and funding - to include oversight and reporting. Actions: Monitor the FY 2019 NDAA requirement for a review and assessment of DoD and service wounded warrior programs. Seek legislation forcing the VA to address known gaps in benefits to veterans. Involve The Military Coalition's Veterans Committee to expand influence and reach in all areas affecting veterans' issues. Engage and advocate on behalf of the VA - when needed - to ensure the agency is adequately resourced and equipped to deliver benefits to veterans without backlogs or delays. Preserve the integrity of and access to DoD and VA health systems for dually eligible beneficiaries. Background: The veteran population of nearly 22 million is projected to decline in coming years. Demand for VA health care and benefits, however, steadily grows because of the aging and unique demographics of this population. MOAA's Stance: Major health care and benefit system reforms have been implemented in recent years but require an ongoing commitment and investments to meet demand and ensure timely access. Continuing implementation will pose challenges to fund evolving technologies, infrastructure, electronic health records, full staffing at every echelon, and the various support systems that tie these efforts together. Further, political forces continue to threaten or erode the core VA health and benefit missions and foundational services. Actions: Oppose efforts to use veterans' disability benefits compensation or other benefits to pay for VA system improvements and diminish or restrict access to service-earned benefits. Press DoD and the VA to achieve true interoperability of electronic medical, personnel, and benefits records to improve medical outcomes and delivery of benefits. Mandate DoD and the VA to develop protocols and establish a mechanism to address service-connected illnesses and environmental exposures and institute a framework for managing toxic exposures that might happen in the future. Background: Congress and DoD recognize military and veteran family quality of life is critical to recruiting and retaining the all-volunteer force. Often, support programs for military and veteran families are the first to be cut when government funds become tight. MOAA's Stance: It is necessary to update family support programs and policies to reflect the needs of today's military families. Spouse employment, children's education, special needs, commissaries and exchanges, and morale, welfare, and recreation (MWR) programs are essential today. Adequate, affordable, and safe housing remains a concern for all military families, especially those in high-cost areas where options are limited. Actions: Educate members of Congress and their staffers on the importance of military family readiness and issues affecting military and veteran families. Protect programming and subsidies essential to MWR and family readiness. Eliminate health and safety hazards in military base housing. Decrease military spouse unemployment and underemployment. Ensure quality of life and health of military and veteran families.